When it comes to making morning smoothies, the choices are endless. I love to make my usual fruity smoothies, but sometimes I’m in the mood to change things up a bit. If you’re looking to get some new breakfast recipe ideas, don’t forget to check out my upcoming free 7-day MIY (Make It Yourself) Healthy Breakfast Challenge, and be sure to sign up! I love exploring new recipe ideas and lately I’ve just been in love with carob. And it’s kind of funny, but there’s this thing around the use of carob powder in our household. My husband considers himself to be a true “chocolatier”, and has a grudge against carob because he feels that carob has only been used as a chocolate substitute, and it could never live up to chocolate. Personally, carob tastes nothing like chocolate to me, and it’s got its own very unique and wonderful taste, not to mention, it’s own health benefits (which I mention at the end of this post). So my husband and I agree to disagree over how amazing carob really is, which wouldn’t be the first time! I’m actually very sensitive to cacao (pure chocolate) because it’s a highly stimulating food. It is full of wonderful nutrients, but if I eat too much of it, (which tends to be a very small amount) I just feel like it jolts my nervous system. I do love the occasional chocolate treat though! For this smoothie you can use either carob or cacao powder. I used carob powder, but I did top my smoothie with a few sprinkles of cacao nibs. For this raw food recipe, you’ll need a high-powered blender. I personally use and recommend the Vitamix Blender. I have the deluxe edition and I absolutely love it. 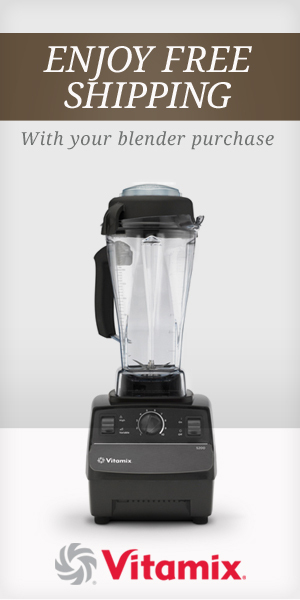 I wrote a comparison review on it (comparing the Vita-mix vs the Blendtec) that you can read here. A high-powered blender is one of the top 4 raw food kitchen tools I recommend stocking your kitchen with. Top with either a sprinkle of carob or cacao powder, or a few cacao nibs if you like. Garnish with a fresh mint leave, serve and enjoy! It can help lower blood cholesterol levels similar to fiber. Carob also tastes amazing! Make sure to buy raw, organic carob powder and have fun playing around with it in different recipes, like this raw carob mint smoothie!